I’ve finally started to write my book. The declaration of doing so on this blog several weeks ago helped me reach the goal. Once I realized I could not write the book at home, no matter how wonderful my room of my own, I was able to act. The next day I went to the National Library. 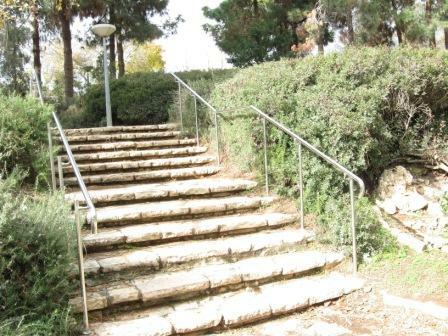 As I climbed the steps from the free parking lot to the National Library on the Givat Ram Campus of the Hebrew University of Jerusalem, I realized how difficult it is to write a book. There are unexpected twists and turns. You walk down narrow lanes, not sure where you will end up. You come up against steel walls, thinking this is the end, but you go there anyway, turn right and find another path. Eventually, you see the light. After another short climb, you burst into the open space and romp among the tall trees. Guessing that the library and salvation are to the left, as you remember from your last visit in 1967 when you were studying hif’il and huf’al in the august reading room, you bear left and climb some more. Yes, your memory still works. There in its clean Bauhaus frame above and behind the cedars pines and sycomores, stands the National Library of Israel. Crowds throng to its entrance. You join them, deposit your coat and purse and receive a black bag for your laptop and a clear plastic bag for the belongings you will need for the next hour or two while you write your book. You climb yet another flight of stairs, though by now your camera’s battery has gone dead, but it doesn’t matter. The Ardon glass wall tells you this might be the best place in Jerusalem and slowly, as you open the door to the reading room in which you first mastered the difference between hem and hen, you realize you have come home. 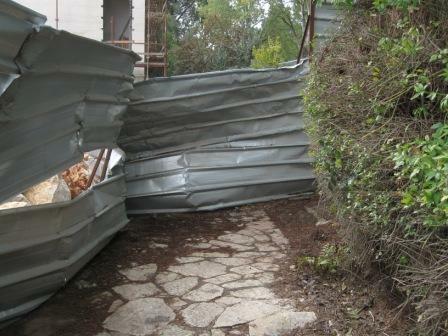 This entry was posted in Writing goals and tagged National Library of Israel. Bookmark the permalink. First of all, mazal tov. Second, the reading room of the National Library is indeed a wonderful place, as I’ve rediscovered when I’ve needed to do research there in the past few years. I’ve often thought that when I retire (will that ever happen?) I’ll come to the library every day. Check out the exhibition about Einstein. Why wait, Esther? Start now. Then we can met for coffee, I mean hot water. Another wonderful post. I love the photos. How terrific that you have found this space in which to be. With rare exceptions, I too cannot work at home, no matter how terrific my room of my own, and no matter how considerate or comatose the other inhabitants of my house are during the hours I write. It sounds like this library will be a wonderfully generative place for you. Interesting phenomenon, no? This needing to get away from the room in which we’ve invested so much energy. This library is a gold mine. I suspect it will solve my problem of feeling isolated by living on the moshav and will become, in time, my preferred neighborhood. I have made the same decision–to finish my mfa manuscript by writing at the library. It is strange how much we want to work from home–write in our own place, but I am too distracted by my own things and my own life all around me. I’m glad I am not the only one who still loves the library, and who needs a place away from home. And what a gorgeous one you have to help you write your book. Yes, it’s the distraction of home. Home – a wonderful place to return to, but not the place to do everything. 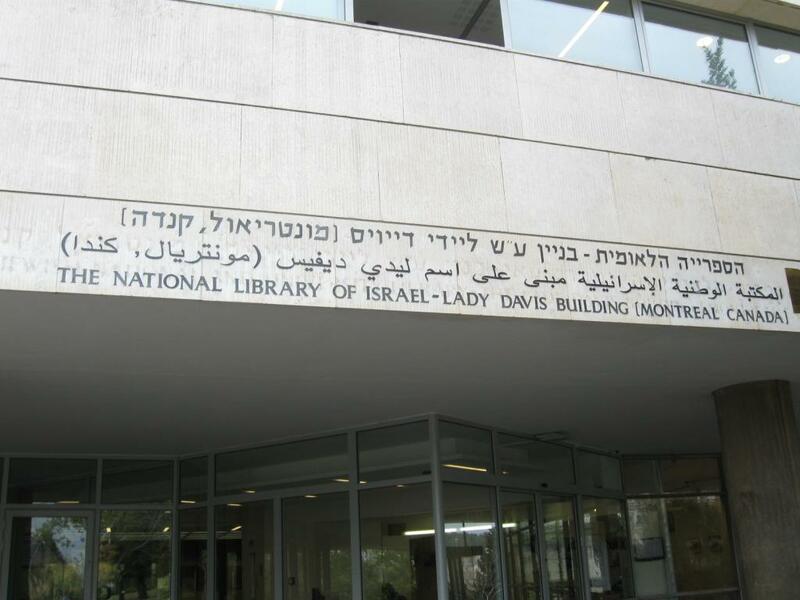 Another library I used to love is the Ben-Zvi Library in Rehavia, but it was always noisey. Everyone at the National Library seems serious, as you say. They sit and work. They don’t chatter. Heaven! Thanks for sharing your decision and b’sha’ah tova! Walking those campus paths and climbing those library steps is such a full-body statement. I salute your courage to invite your feet into the writing process, surround yourself with tens of thousands of role models, and let the camera batteries die so you can enter the irretrievable moment. Go, girl! This is such a great comment Sara. Thank you. 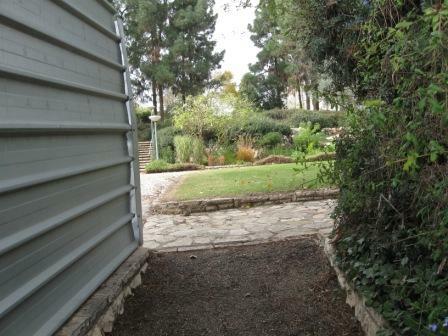 Judy, Your post brings me back to my days so long ago at the Givat Ram campus! 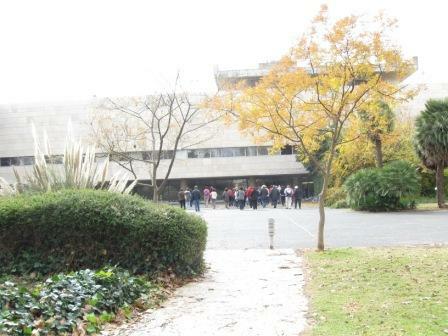 I used to love my walk from the dormitories up to that beautiful library! I am a library wanderer. It’s where I do my hunting. But I can’t write until I get my “game” home (not a very nice metaphor but it’s the truth). Here’s to your new book and to many happy, fruitful hours in that magnificent building. 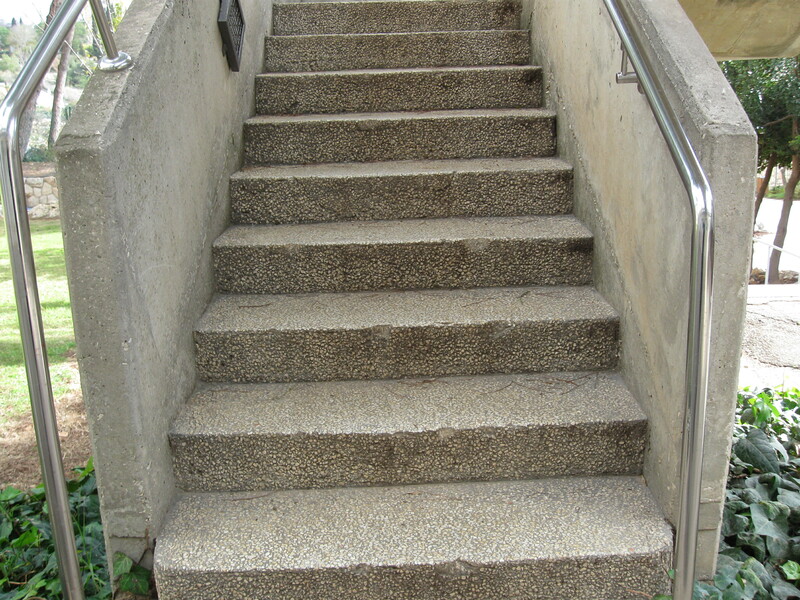 Keep us posted on your steps, your turns, your views. And thanks for the photos!